Copper high quality statue with 'cold' gold painted face. 6 inches high. 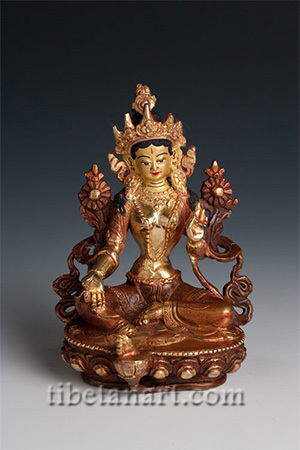 The female Buddha of compassionate activity, swift to help suffering beings. Her left hand in the refuge granting gesture holds a blue lotus and her right hand is open in the giving mudra.